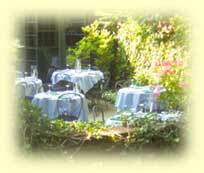 The Inn at Phillips Mill is located in New Hope, Bucks County, Pennsylvania. You can find many cultural and historical places of interest throughout beautiful Bucks County including Doylestown, Lahaska and Washington's Crossing. A short drive away, and across the Delaware River, is Lambertville and Princeton, NJ. Giggleberry Fair at Peddler's Village is located in the Village of Lahaska, PA, not New Hope. This new museum is a satellite of the Doylestown Michener Art Museum, which continues to preserve and collect the art of the Bucks County area. Includes many shops such as art galleries, antique shops, unique crafts, etc.